“I hate craft and I don’t enjoy the fun and enjoyment it gives!”, said no kid ever! Put all the ingredients in a container and keep mixing very well till you get a thick and dense foam. 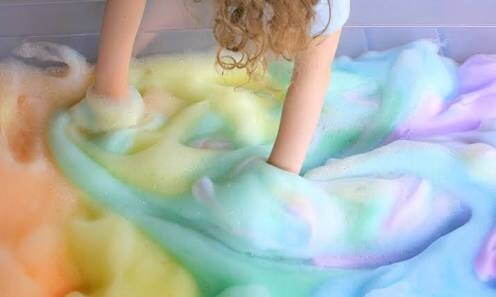 Pour it into your little one’s bathtub or splash pool and see your little one enjoy it for hours without getting bored! Take an A3 size plain white paper. On it, draw as large a tree as you can. Make sure the tree has a lot of branches. Color your child’s little fingers and palms and ask him to press it against the branches of the tree. His hand-prints would actually be the colorful leaves of the tree. You can also ask his other friends to print their hands on it too and you could preserve it as the tree of friendship of your child. 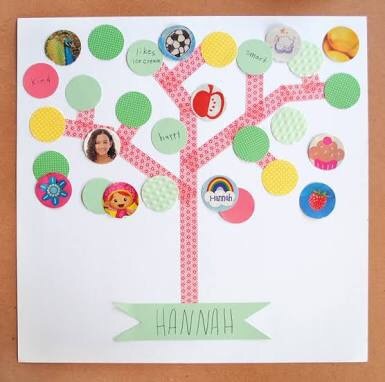 Take a cardboard sheet and on it trace that letter of your child’s first name. For instance, ‘A’. Help your child cut out the A carefully and neatly. Once done, wrap it carefully with wool of different colors without overlapping any thread on the previous one. Later, you can decorate it with your child using buttons, ribbons, glitters etc. 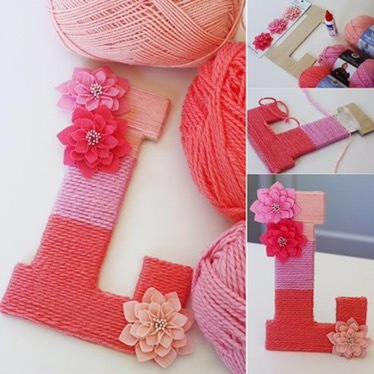 and use it as a pretty wall or door hanging for your kid’s room. Take a big, round and plain white paper plate. Draw the face of a bunny on it. Draw the eyes, nose, mouth and mustache. For the mustache, you can also stick some cotton balls to make it look good. Take another paper plate and cut it into two semi-circles.Stick them onto the first paper plate as ears in the shape of a D (the right ear) and a laterally inverted D (the left ear). Color the ears pink to give the impression of the insides of his ears. 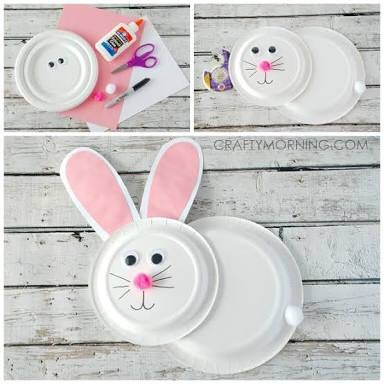 Many more such animals can be made very easily using paper plates and you can use these to fill up that empty space on your kids’ room’s wall. Mix the salt and the flour together in a bowl. Keep adding the water gradually and keep mixing till you get a dough of a soft consistency which can be molded into different shapes. Form a smooth dough and flatten it onto the floor. 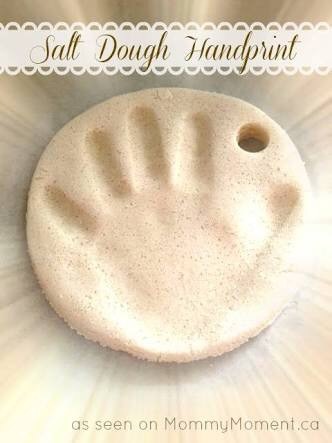 Ask your child to press their palm or foot against it and form an impression. Dry it out at room temperature for 2-3 days and paint it later to preserve it as a memory! Next The day the crayons had a conversation with the happy kids at Anthea Montessori School!